UCSD: A college for you? 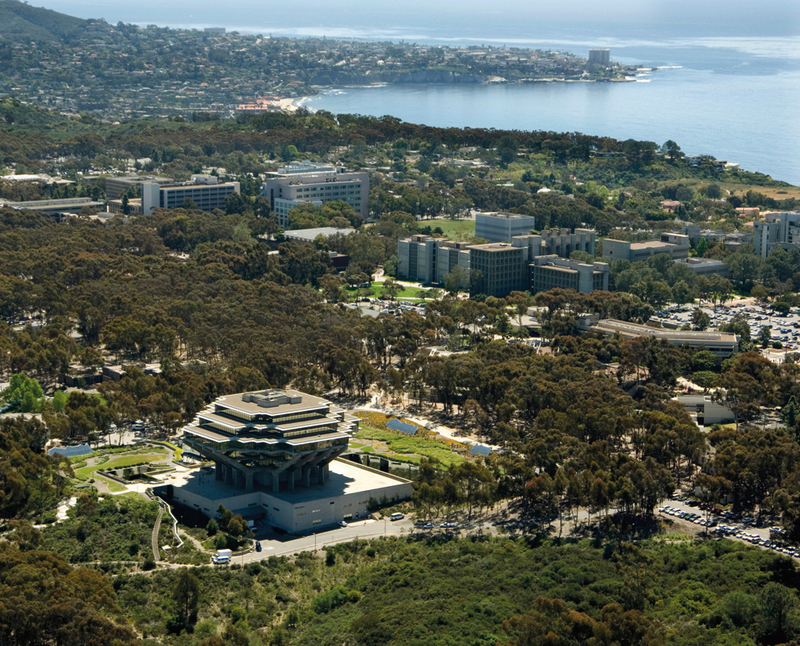 Unlike many other UCs, the University of California San Diego is the combination of six different unique colleges: Revelle, Muir, Marshall, Warren, Roosevelt and Sixth. Amanda Calcetas, an incoming third year at Sixth College majoring in Cognitive Neuroscience, approved of this system. “It might seem that UCSD is a big college, but because of the college system, there are individualized communities within the college itself. I feel like you can get both a close-knit community as well as a larger scale university,” Calcetas said. For those interested in the college’s unique personality, I will go in depth for each one. Revelle College, known for its highly rigorous academic standards, provides a strong education foundation for any major, especially for graduate or professional schools. Muir College, supporting and accommodating, offers a personalized academic plan that would meet student’s individual needs, and also has a strong focus on social welfare and rights of others. At Marshall College, students become better citizens as a community that focuses on diversity, justice and imagination through community and public services. Similar with the pursuit of citizen-scholar, Warren College differs with academic internships and study abroad opportunities. The Roosevelt College focuses on understanding the history to gain global perspectives. Last but not least, Sixth College is driven by creativity and collaboration, especially in communication where students learn to address social issues in today’s society. Also unique to UCSD is their academics. “The Cognitive Neuroscience department was one of the first of its kind. The professors there were one of the founding fathers of their field, because Cognitive Neuroscience wasn’t a thing before it came to UCSD,” Calcetas said. In addition, something else unique to the specific colleges is a major called Interdisciplinary Computing in the Arts Major. “[It’s a] mixture of how twenty-first-century artists and designers work and how to revolutionize art,” Calcetas said. This means that the major ICAM is a great major for those students who are interested in not only art but in STEM. As a whole, whether it’d be Revelle College or Warren College, the overall environment of UCSD is a “relaxed and chill place fifteen minutes from the beach” said Roger Lee, an alumnus of Marshall College who majored in Economics and minored in Business. Lee further said that another main reason he decided to go to UCSD was for their Triton Day, which is a day dedicated to accepted freshman. “I found it super exciting, because I could talk to different organizations in the campus community and they really seemed to enjoy coming to school at UCSD,” Lee said. Some college admission advice from Lee, aside from having good grades and extracurriculars, is to “work on your personal statement because it can make or break your application. Having a personal statement that literally speaks out about you is very important,” said Lee. Application season could get very stressful, but do not worry. “UCSD wasn’t my first choice, but even if you don’t end up getting into your dream school, if you just be yourself, you will end up liking it there. For me, I really ended up enjoying attending school at UCSD,” said Calcetas.